It’s a dream for most of us: We receive an inheritance, that provides us with a little more financial stability. 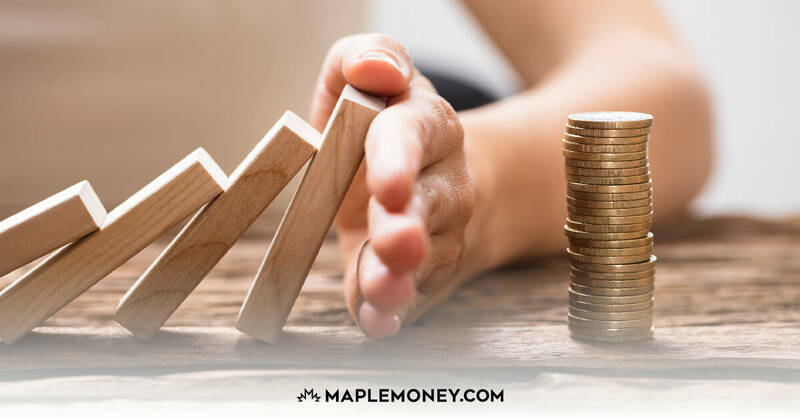 While you don’t want to base your entire financial future on the hope of an inheritance, the reality is that more and more Canadians are seeing money pass down from a previous generation. It’s tempting to immediately begin spending the money, making decisions about paying off debt, buying a new house, investing it in the hottest commodity, or taking an awesome vacation. However, this can lead to blowing through the money fairly quickly. Instead, step back, and evaluate the situation. Don’t make any money decisions immediately. In order to make the best of your inheritance, you need to create a plan. 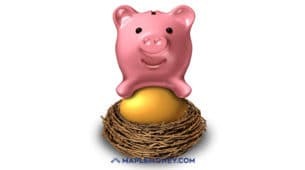 Keep your money in a safe place (a protected bank, or short-term GICs), while you formulate a plan. Think about your priorities, and figure out how you can get the most bang for your buck. Put together a good plan for your inheritance money so that you can continue to use it to grow your wealth, rather than risk losing it all. Your first instinct might be to get involved with DIY financial solutions. After all, you don’t want fees and costs eating away at your money. However, this can turn out to be costlier in the long run. In some cases, you just don’t have the expertise and know-how to navigate some of your options. Plus, you might not understand how to use tax planning to reduce the government’s cut. Other considerations that can impact what happens with your money include possibility of divorce, and if you are guardian of a minor who has received inheritance money. These are issues that require careful, expert thought, and you don’t want to go wrong with DIY decisions. It can help to meet with a knowledgeable financial planner. There are plenty of qualified (and low-cost) financial professionals who can help you map out a plan for your inheritance money. There are plenty of recipients who feel as though they should pass on their good fortune by donating to charity, or by giving some of the money to their kids. However, before you do that, remember one of the basic rules of personal finance: Take care of yourself first. 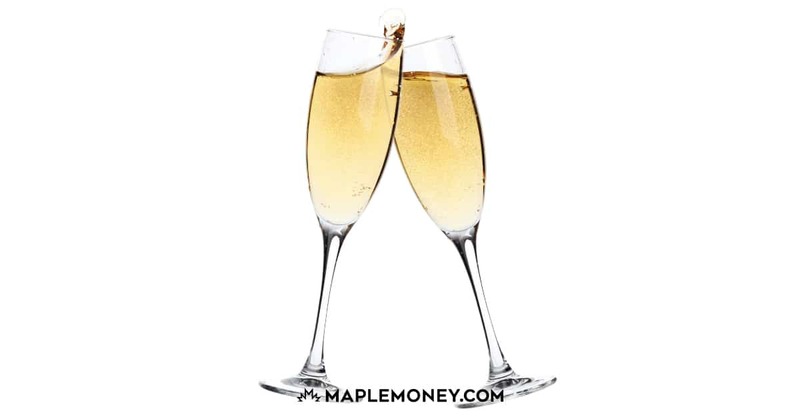 If you have debt, or if your RRSP isn’t properly funded, now is not the time to send your money on to your kids, or to someone else. 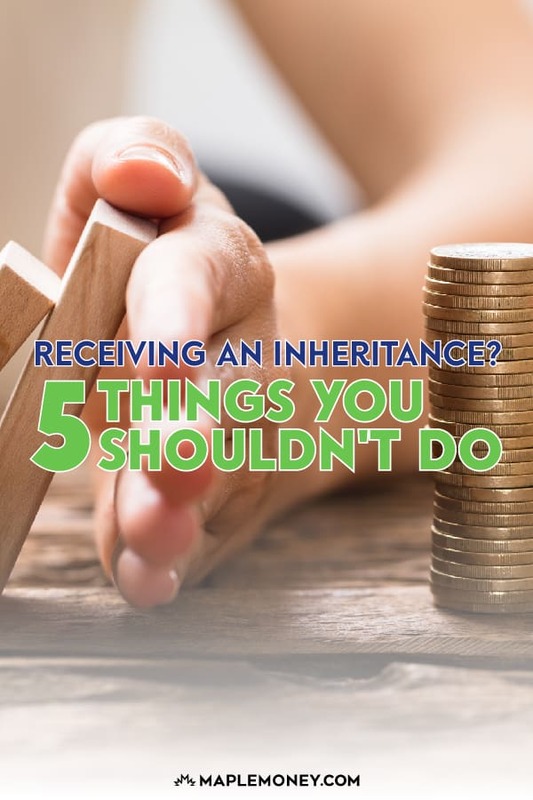 Instead, with the help of a financial planning expert, make it a point to get your own finances on the right track with the inheritance money. After that’s done, you can consider giving the money away. While you want to do the right thing with your financial windfall, you don’t have to save it all for later. While you don’t want to get crazy by purchasing a fancy car or remodeling your house, you can take a little of the money and use it for something fun. Consider a weekend getaway, or a spa day, or a gym membership. You can also reward yourself and do something that you really enjoy. What would you do with the financial windfall of receiving an inheritance? I was fortunate enough to be in this position and we elected to invest all funds that will help with long Term Care if needed and if not will be left to our children. We will give monies to them if the math makes sense,better given with a warm hand than a cold one. Funny that people who save all their lives get into such a habit that they are not able to spend but become slaves to watching numbers grow? What a great post! I’m going to share this with my twitter followers, as the information you provide is so important to those going through these tough decisions. I love point number 1! Don’t just start making decisions right away. This has got to be the most important point. Evaluate your position and needs. Invest it all in market index funds!! Fortunately most people will have lots of time to consider what to do with an inheritance because it takes a long time to settle an estate. Unless it’s the passing of the fictional “uncle who went away to the Colonies and died a wealthy bachelor” you will likely not just wake up one day and get given a large sum of money. That said, you make lots of good points that should be carefully considered. Twenty years ago my wife received an inheritance. It was first invested through a full service broker, since I retired 17 years ago I have managed the funds myself. We have spent 65% of it and what is left is worth about 280% of the original amount. Annual income is over 6%. It in a DRIP account so we do not get much cash as it is mostly reinvested. I do not panic when there are market downturns. Gains v losses may not be spectacular but the gains comfortably exceed the losses. Yes, starting making decisions immediately is a NO NO! It only leads to bankruptcy and something you will regret later. There should be thorough planning and study so that the money will be put in good use.